Dr. Keith Hansen has been exposed to musculoskeletal ultrasound since 1996 when he purchased his first ultrasound machine for his chiropractic office. He then shortly met a doctor who became a mentor to him in this field named Dr. Thomas Clark who is now an internationally recognized expert in musculoskeletal ultrasound and has tutored him ever since. Early on, Dr. Hansen attended courses through Henry Ford Hospital and The Musculoskeletal Ultrasound Society and has also attended musculoskeletal ultrasound seminars all over the United States, Canada, Argentina, and Hong Kong and has been taught by many leading doctors in the field. He was one of the first physicians to pass the first testing for certification in the United States for musculoskeletal ultrasound, “RMSK” (Registered in Musculoskeletal Ultrasound) with a Pioneer certificate in this specialized field. He has worked with doctors from several specialties including sports medicine, anesthesiology, rheumatology, pain medicine and rehab. and non-surgical orthopedics as a musculoskeletal sonologist. 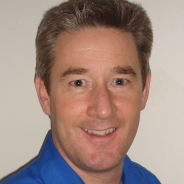 He has been teaching full-time with Dr. Thomas Clark and MSKUS.com since 2006. He currently works with several doctors, residents, and fellows in South Florida for diagnostic and ultrasound guided procedures.